Our church website has kindly been sponsored by the Friends of St Eustachius'. 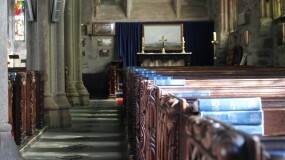 Weddings are held throughout the year at Tavistock Parish Church. Please contact the Vicar - The Very Reverend Dr Christopher Hardwick - for more information on the availability of the church and the cost of your wedding. He will also be able to advise you about a wedding at St Paul's, Gulworthy or Christ Church and St Michael's, Brentor. The latter offers a particularly beautiful setting for an intimate wedding. The Very Reverend Dr Christopher Hardwick would be delighted to baptise you and your child/children either during the 9.45 am Family Communion Service on a Sunday morning or, if you prefer, at a Baptism Service on Sunday afternoon. Please contact him directly for further information. He will also be able to offer you advice on baptisms at St Paul's, Gulworthy or Christ Church and St Michael's, Brentor. 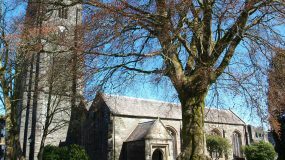 Children are very welcome at all services held in Tavistock Parish Church. There is a special area with toys and books for children at the front of the Clothworkers’ (far right) Aisle. A sidesperson will be happy to direct you. 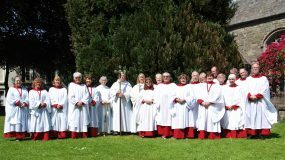 During term time the Vestry Group meets in the vestry in the 9.45 am service, gathering there during the first hymn. For more information please contact Sarah Pendle on 07929 911892. Messy Church happens on the first Wednesday of the month, from 3.30 - 5.30 pm in our church. It’s a time when families can have fun making things, sharing a meal and celebrating God’s love together, through Bible stories, music and prayer. We aim to be a worshipping community of all ages, centred on Christ, showing Christian hospitality and fellowship and having lots of messy fun! Please see 'What's On' for more detail.